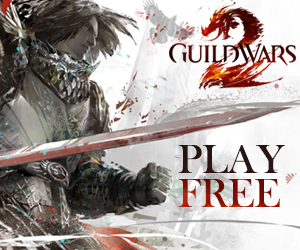 With the feature pack nearing, a lot of stuff in Guild Wars 2 will be changing. New traits, a wardrobe system, dyes will become account-bound and much more. 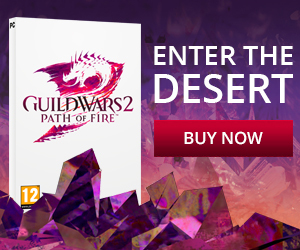 To help you be prepared we figured it’d be handy to have a list of things you should be doing right now in Guild Wars 2. These tips will help you benefit the most of the new systems, regardless of any loot-changes that might come along with the next patch come April 15th. When the feature pack hits the servers, every new character will no longer need to unlock trait tiers at a cost, which should save you some coin. However, creating your character before the patch is released will unlock all of the currently available traits for your character, without the need to hunt them all down afterwards. The 40 new grandmaster traits, 5 per profession, will still need to be hunted down by enjoying the plethora of content that Guild Wars 2 offers. The wardrobe will function somewhat similar to how your dyes are currently functioning per character: You can unlock skins by using consumables, equipping items, salvaging equipment, or right-clicking on equipment and account-binding it. All items that are already account-bound to you, will automatically unlock for your account when they go into your inventory. Last but not least, all item skins acquired via PvP will transfer over to your wardrobe when you visit the Mists when the Feature Pack goes live. For a good start of the wardrobe system, you’ll want to save all of the unique skins that you come across and unlock them once the feature pack hits the game. While gathering skins, keep in mind that some skins have a cheaper (lower-level) version. Another tip would be to check your glory currency in the wallet, is your glory currency 200 or higher? Head over to the PvP lobby and spend it on mystery coffers or any of the other coffers. These coffers will usually include rare skins that are much easier to unlock via PvP than they are via PvE. Another way to spend your glory is to purchase crafting materials to craft specific crafting items or buy Tomes of Knowledge and 18-slot bags. As the PvP crafting materials will also be removed, you should remember to then also actually use these materials before they’re removed from the game. Talking about PvP and the wardrobe: each time you hit an achievement milestone, you’ll be rewarded with mystery coffers, which include PvP skins as well. You’ll want to make sure to round off your achievement points to a milestone before the patch to hark in those last wardrobe skins too! Another change coming to the game along with the wardrobe system is a revamp of the transmutation system: 3 transmutation stones will convert into 1 transmutation charge and 1 transmutation crystal will convert into 1 transmutation stones. Since we don’t have any idea how the new reward system will function, you’ll want to hark in the free transmutation stones while you still can. This means that you’ll want to get exploring the game in order to get the 3 transmutation stones after each map completion. If you don’t have a lot of time, limit yourself to exploring each of the main cities, as these take the least time to complete. Another change to come along with the wardrobe introduction are account-bound dyes. The dyes you’ve previously unlocked will become account-bound and any duplicates will be returned as unidentified dyes, giving you an extra shot at some new dye(s). Before the feature pack comes online, be sure to use all of your (un)identified dyes you’ve stashed away in your inventory or bank vault on any of your characters. This way, you’ll have a bigger chance on obtaining as many unidentified dyes as you possibly can and have a higher chance on ever completing your collection due to the refund system. Are you already a collector and do you already have a lot of unlocked dyes? You might want to sell your unidentified dyes before the refunding system will add a lot of new ones to the trading post. Contrary to this tip, identified dyes that are currently worth a lot should still be kept due to their rise in pricing after the patch hits. Enjoy your champion loot. Due to the removal of a cost for resetting traits and repairing your armor, you’ll notice a drop in the amount of raw gold you’ll be able to get out of champion bags. While the system will break-even eventually, this will mean that you’ll earn less income for a while than what you’re used to. Ease down on your daillies and monthlies. These will receive a hard-limit at 10.000 achievement points for your daillies, and 5.000 achievement points for your monthlies, so eventually you’ll be reaching the hard-limit anyway. Another change to the daillies and monthlies will see both the PvE and PvP variants combined yet again. As a close, be sure to log in to each of your characters when the feature pack gets released on April 15th to benefit the most of all of the new changes! This will also make sure that all of your WXP will become account-bound. We’ll add to this list if we come across anything else, but if you’ve got any tips of yourselves, be sure to share them below!